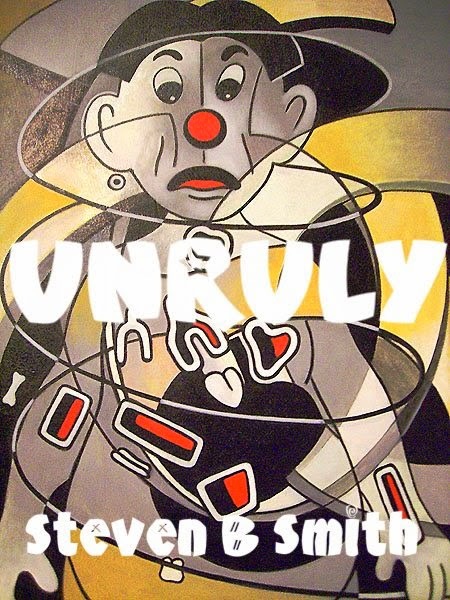 Unruly is a new collection of poetry by Cleveland art legend Steven B. Smith. This 25-page chapbook includes 25 poems on sideways college-ruled paper. Unruly is available for only $7 US from Crisis Chronicles Press, 3431 George Avenue, Parma, Ohio 44134 USA. You may also order via PayPal. This chapbook is saddle staple bound with white cover stock and yellow endpapers — lovingly hand-assembled — 8.5 x 5.5" with cover fotos by Smith (text added by JC). Published 20 August 2011. 100 copies in print (only 2 remaining). Click here to read "No TV for Me" from Unruly in the Crisis Chronicles. Click here to read "Now Zen" from Unruly at agentofchaos.com. Click here to read "The Sociosphere vs. Mother Earth" from Unruly in the Crisis Chronicles. Click here to read Smith's blog entry about Unruly (including "Me, Myself and Lie"). Click here to view ratings of Unruly at Goodreads. Click here to read reviews of Unruly at Amazon. 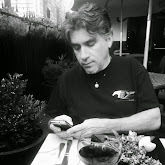 Steven B. Smith is a poet, memoirist, photographer, blogger and collage/assemblage artist who makes his home in the Tremont neighborhood of Cleveland, Ohio. He's been writing poetry for nearly five decades, and for more than twenty years he published the famed ArtCrimes journal. 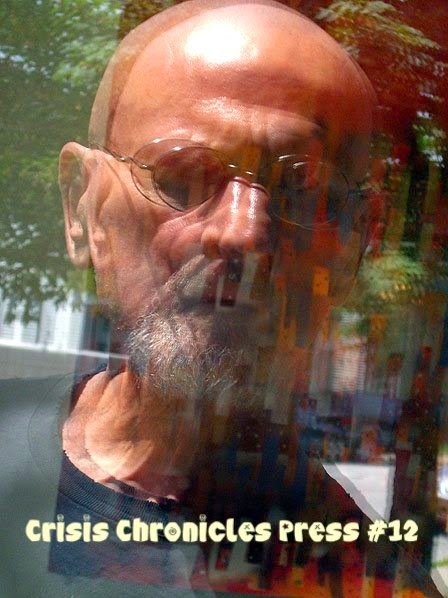 He created a massive online art/poetry archive at agentofchaos.com, and a wide array of his poetry and collages have been published in the critically acclaimed book Zen Over Zero: Selected Poems 1964-2008 [published by The City Poetry Press]. Smith and his wife Lady have traveled the world extensively, creating and living art in places like Croatia, Morocco and Mexico, while blogging about the best, worst and most unique bits of their journey at walkingthinice.com. They've also collaborated on a book about Smith's life entitled Stations of the Lost & Found. For more information on Smith, read his mutant bio. Then check out his musical collaborations at reverbnation.com/mutantsmith.